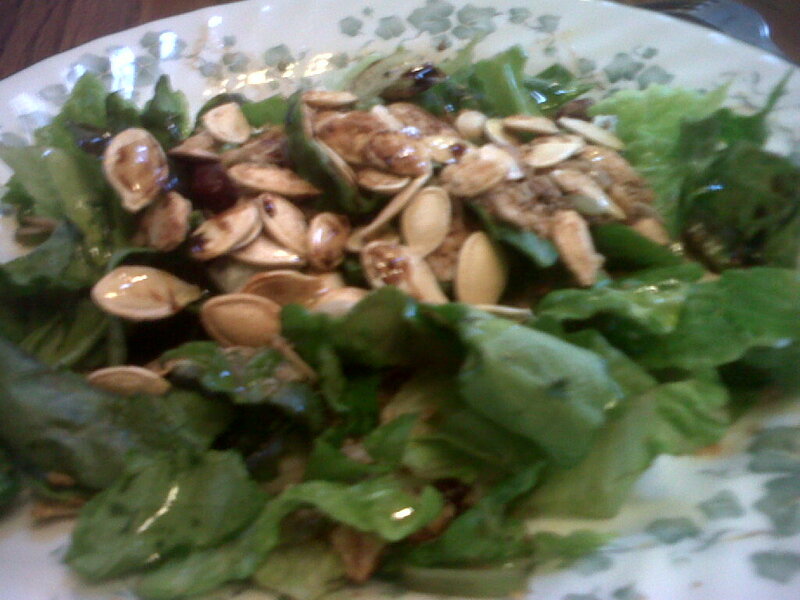 Named after by my kids, RIDICULOUSLY DELISH SALAD, which is all about………… granola. Before we get into the “what is it” “how does it taste” “how can I use it” part, let me ask you: how many of you out there are still purchasing and consuming granola or bars on a regular basis? That many huh. You read the label ‘wholesome this’, ‘all grain’ that. Ok you think ‘this is good’. Then in continuing to read the ingredients you get to the ones you can barely say. ‘Hmmm, not that bad, there’s only 2 or 3’ OR ‘it must be ok or “they” wouldn’t allow it in our food’. Riiiiiight. If you can’t say it don’t eat it! With my particular learning style I get very excited when it’s time to leave the books at my Holistic Health Coach class. Let’s get in the kitchen. Let me smell, feel, touch and see. Let me work with the ingredients with my hands; creating love filled dishes. Guess I am almost like an artist, my canvas and paints are in the kitchen. So thanx first to Emily, SHC Natural Chef and classmate, for introducing this recipe to us. We have made it twice and its uses are expanding every time. Some of ingredients you may have to purchase. Prepare it as it is and you have a nice nut free granola that is safe for those environments where nuts are a concern. You can add any and every sort of nut if so choose to up the protein content. As well, seeds, get creative. Raisins, dried apricots in place of or in addition to some of the cranberries works. I think you get the idea. In a large bowl, mix all ingredients with a wooden spoon or spatula. Spread out evenly in a single layer on a baking sheet greased with coconut oil and bake at 300 for 15minutes. ; turn try and stir through to combine the mixture and bake for another 10 or 20 minutes until lightly golden brown. It turns out best if you can stir it often while baking. By this point EVERYONE in the house will be enticed by the smell! * and today……….a very green salad sprinkled with it and a “pass over” dressing of balsamic vinegar and olive oil. Wow oh wow! Seriously and ridiculously delish. Not only delish but with the nuts we added this time I was fueled for a complete afternoon. And……….the kids loved it!!!!!! Use it, create it, share it. I’d love to hear how you like it, how you changed it and how you used it.